Can't believe it's August! 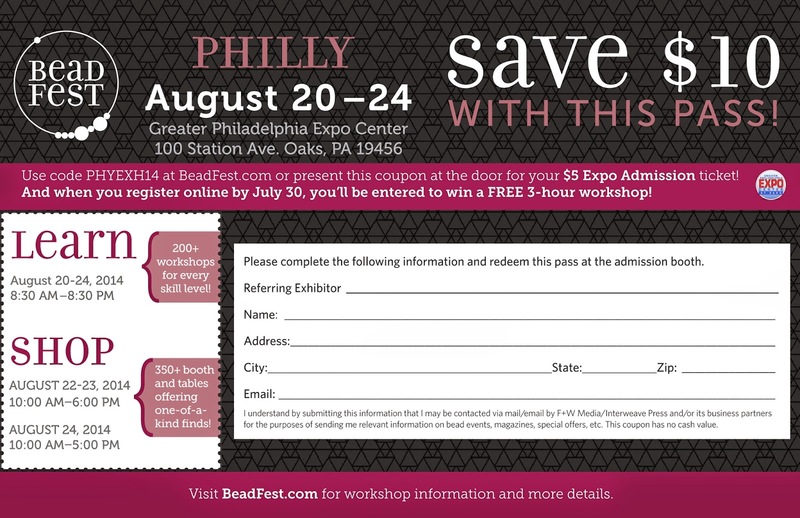 Summer is starting to wane but there's still time for a lot of great things - including BeadFest Philly. And Fire Foxes Glass will be there again this year! We will be at Booth #161. We have added a new Fox to our den - Tara Wisniewski, from the Chicago area. She not only is a lampworker but works with fused and slumped glass. Of course Joy and Denise will be there too with new things to show and share! This is some of the new eye candy that we will have in the booth this year, luscious resin beads! They look good enough to eat! But it's better - no calories! But this is almost as good as candy - a little something to save you some money, an entry pass for the show.